Envelope-Stuffing Party in the afternoon. 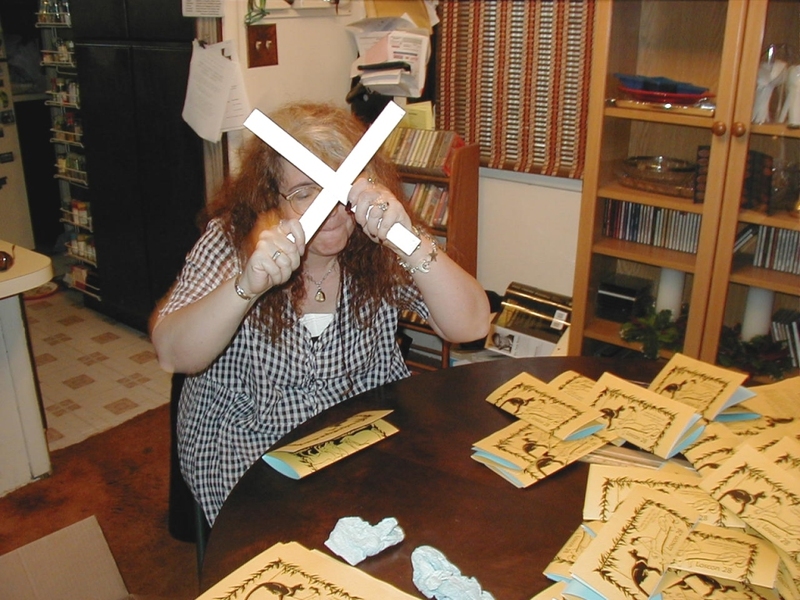 Liz Mortensen with crossed rulers. 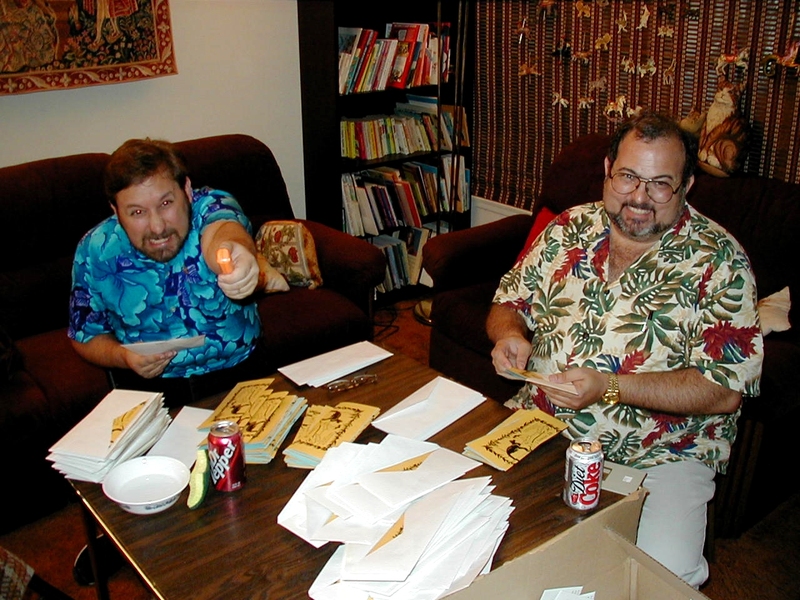 Elayne Pelz standing, Shawn in background, Christian B. McGuire stuffing envelopes, Ed in background. Shawn Crosby with a weapon and a Dr Pepper, Ed Green with a Diet Coke. In the evening they had the "Mathom Party" where people bring things they have no use for, but are too good to throw away. Cathy Beckstead, Larry and Fuzzy in the background, Christian and Shaun in the far back. Christian B. McGuire, Shaun Lyon, Chad Jones.